The All-New Swift Sport is priced at £17,999. Has Suzuki got it right? That is a lot of money, when you look back to the new Swift model launch only last year when the smaller-engined cars were set to be priced at not much more than £13,000. The Sport is £1500 more than the previous range-topping SZ5 Swift. Yes, the new Swift Sport version has a bigger, more powerful engine, 1.4-litres and 140 bhp. It can get to 62 mph in 8.2 seconds and has a top speed of 130 mph. It develops a punchy 230 Nm of torque from 2500-3500 rpm. And a lot of work has gone into developing the chassis with a suspension aimed at enabling the Sport to live up to its name in the handling department. It’s 70 kilos lighter, too, which helps a lot. On top of that, as a package, the Swift Sport is extremely well-equipped with a long list of features in all facets from safety to comfort and convenience and connectivity. So you pay for all of that — even if you would maybe prefer the car to be kept simpler and cost significantly less…excepting, of course, that any safety feature is more than welcome. A row of fifteen Swift Sports lined up in the hotel car park demonstrated the bright colour range of this new model, yellow, red, blue and white are what you can choose from. However, only the Champion Yellow is new and exclusive to Sport. There are also a grey and a black and every colour is at no extra cost. The interior is mainly hard black plastic. What might be a rather dark space is lightened by red highlights across the dash, on the door pulls and within the instrument binnacle. The black cloth seats in all models are nicely set off with red stitching and the steering wheel gets some red stitching also. Out on the road, I must admit to feeling instantly at home in the Sport. The first thing is the steering, and, although just slightly dead in the straight-ahead position, it was certainly part of the pleasure the car provided. On an Irish motorway, however, the car felt as though it was following the shallowest of grooves, with the steering wheel constantly moving in my hands. The handling is otherwise exemplary and helps make the car able to be driven quite fast when conditions allowed. At slower speeds, the suspension ‘feels’ absolutely every little nudge from the road surface. At speed, though, it comes into its own and was really fun over mile after mile of narrow, undulating, twisting and often loosely-gravelled country roads. Driving through deserted roads in the Wicklow Mountains was a wonderful mini-epic. The suspension took it all in brilliantly…even so; a full seat harness would have been advantageous here! And a professional race-driver who took us for laps of the Mondello Park circuit told me that the only thing that he was not so happy about in the Swift Sport was the seat…not enough support. On ordinary roads, though, they were comfortable enough. The engine has quite a sporty note, especially tuned, as it heads to the 7000 rpm redline (just before which, the cut-out cuts in, and not too harshly at that). The six-speed manual gearbox is pretty good, providing nice quick changes and a clutch action you hardly notice. At first, I was nervous that, instead of finding sixth gear, I might select the reverse gear alongside it…thankfully that never happened — there is hardly a nastier mechanical feeling than wrong-slotting. The car was at times driven reasonably hard, at which it was in its element. Fuel consumption as displayed on the trip computer was a very reasonable 47.1 mpg. The official combined consumption figure under the ‘old’ system is 50.2 mpg. Emissions are, well, a bit of a mystery, until we understand that the official NEDC (New European Driving Cycle) tests long carried out for consumption and emission figures have, as everybody is aware, not reflected ‘real life’ driving conditions. A new system WLTP (Worldwide Harmonised Light Vehicle Test Procedure) was developed and initially-introduced in 2017. Suzuki gave us journalists a car specification sheet that quoted two different figures for emissions: 125 g/km and 135 g/km. What can be made of this? It also affects the first year’s VED figure, although a buyer does not pay this. So, which do we follow? The official answer from Suzuki is to fix onto the new regulations that come into full effect in September. I would guess that that overall 47.1 mpg that I got matches what will eventually be declared as the official combined figure — a good effort. For the record, all manufacturers must continue, for their new cars, still to give the NEDC figure and the figure under the new WLTP that will become the only figure for new cars from September 2018. 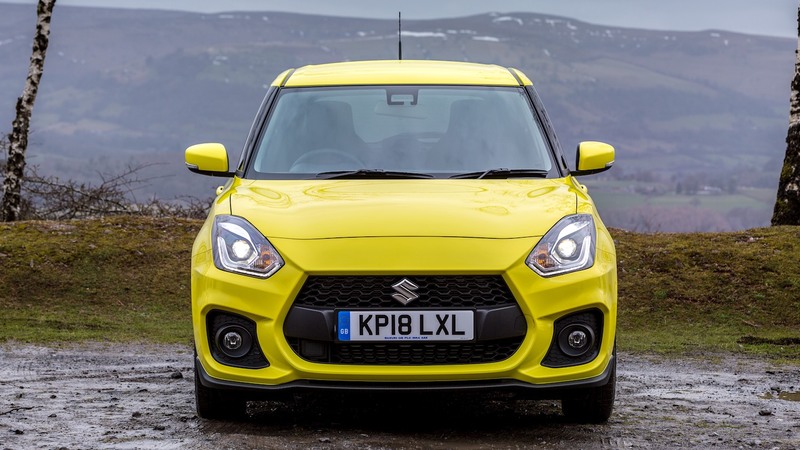 So, back to the original question: has Suzuki got its price right? Well, given how this all-new Swift Sport performs, looks and provides so much fun, plus all that equipment as standard, in comparing rivals in the super-mini size with reasonably high-performance engines, Suzuki can fairly claim that buying one would leave you a couple of thousand pounds better off.